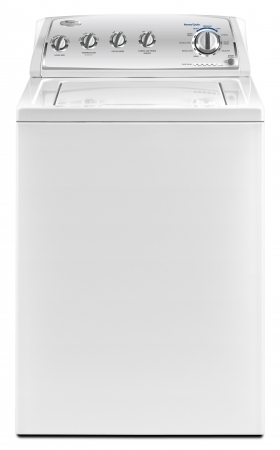 This is the NEW Whirlpool WTW4840YW Washer with Improved Efficiency. This New Top Loading Super Capacity Washer begins a whole new chapter in cleaning. It boasts a 15kg dry clothes tested tub, with the latest belt driven technology. Its quieter, more energy efficient and uses much less water. Most importantly, less moving parts than our competitors, and a history of the best service record in the industry. Whirlpool is the Leader in laundry products, and continues to come up with new and innovative ideas to make your life easier.